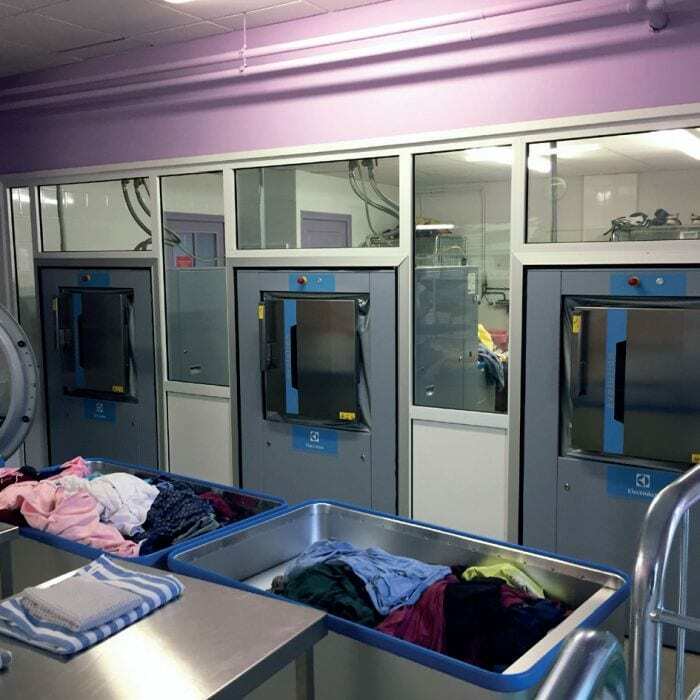 Christophe Leymarie, executive assistant at the elderly home of Faugeras, and Nathalie Segurel, laundry manager, were in charge of the reorganization and modernization of the in-house laundry in January 2016, in partnership with Electrolux Professional. The history of the home began in the 1950s in Switzerland when some parents of handicapped children met together and decided to create an association. In 1959, they purchase a detached house in Rope in the suburb of Belfort. Ten years later, the teenagers became adults: the association then had to change status and find a space more suitable for its residents. A wonderful opportunity presented itself: the castle of Faugeras. The magnificent domain was transformed into the elderly home and roughly 50 years later it welcomes 56 residents. 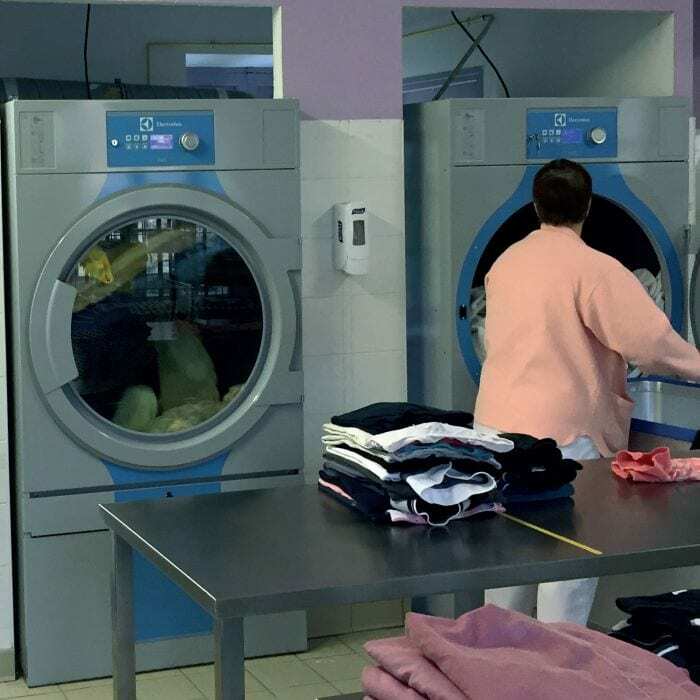 From the beginning, the association possessed its own laundry: no linen is handled outside the establishment, neither for the residents nor for the staff. In 2008, it was totally refurbished to better meet the needs of the home and now it is designed with two different zones to separate the dirty linen from the clean linen. The deadlines were respected, the installation was done in 21 days by the Sodibel company. The Auditextyl company performed a 3-day on-site training. 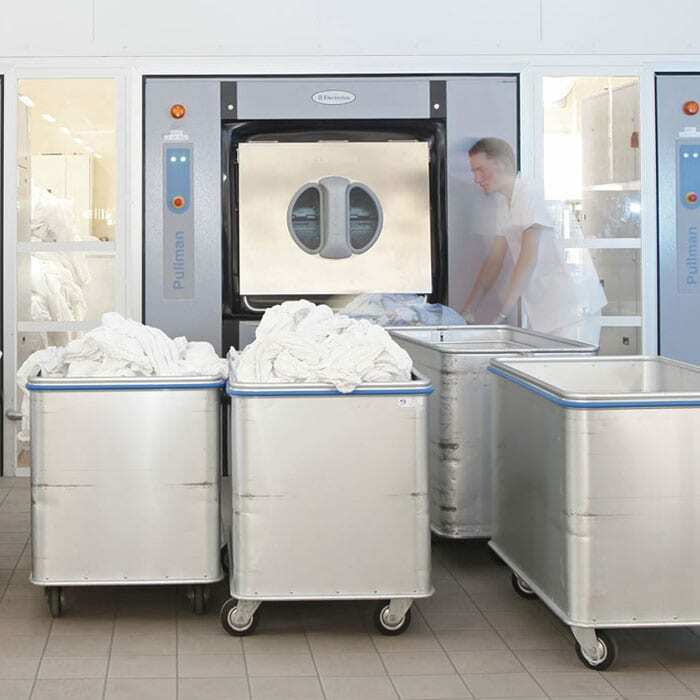 The barrier laundry system is organized in three parts: a room for the dirty linen, one for the clean linen and a last one reserved for storage and sewing. 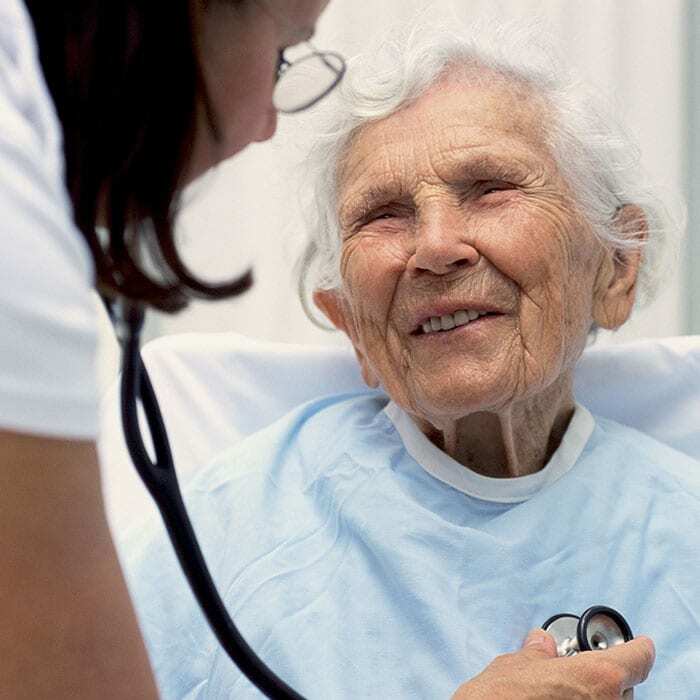 “To the pleasure of working with state-of-the-art machines, a real working comfort was added. 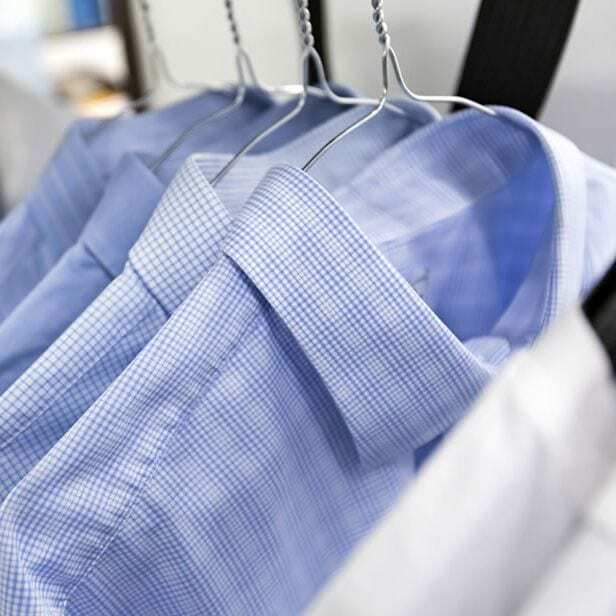 We gained time both in washing and drying, which is not to be underestimated”, concludes Nathalie Segurel. The management also underlines the great implication of the whole laundry team, without whom nothing would have been possible.